I quite like a festive drink. I like mulled wine at the xmas markets, I even like a Baieys hot chocolate when in real life I don't like hot chocolate or balieys! One of my favourite festive drinks is Costa's Hot spiced apple drink. The most recent festive drink i've tried is a Starbucks Almond and Honey Hot Chocolate. At first thought I didn't like the sound of it but then someone on Facebook said it would be like Liquid Toblarone. This sparked my interest. I had one when I went to Sheffield last weekend and it was amazing, I couldn't have more than a small one and i'm in no rush for a second one. BUT if you like hot chocolate and toblarone you will love it. Kind of, I've worn a festive jumper all day. I'm planning on going to the xmas markets on Sunday. I'm opening my advent calendar daily. 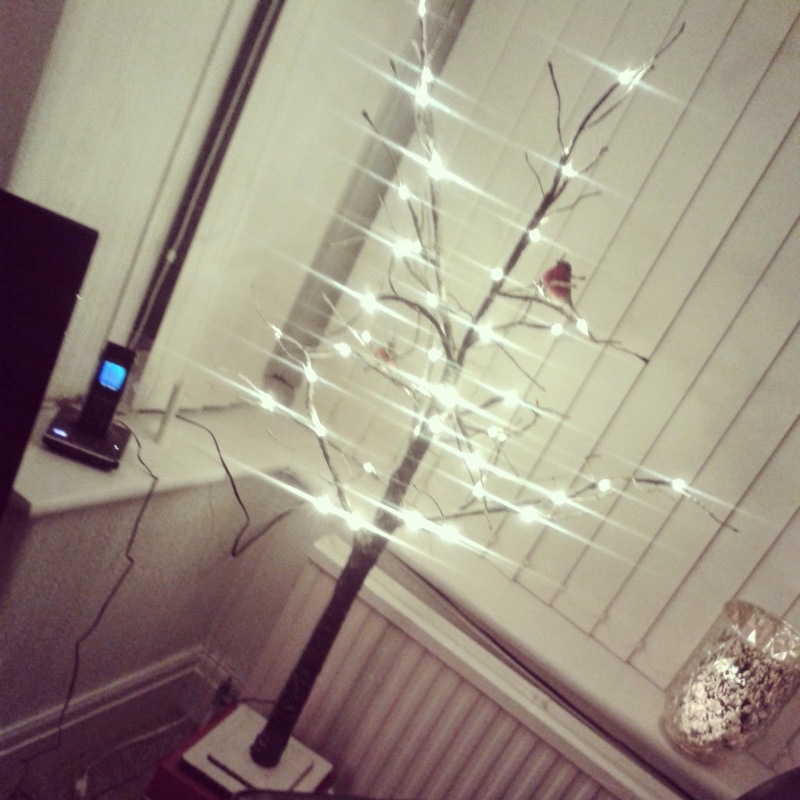 We even have our Xmas tree up so I al feeling pretty festive. 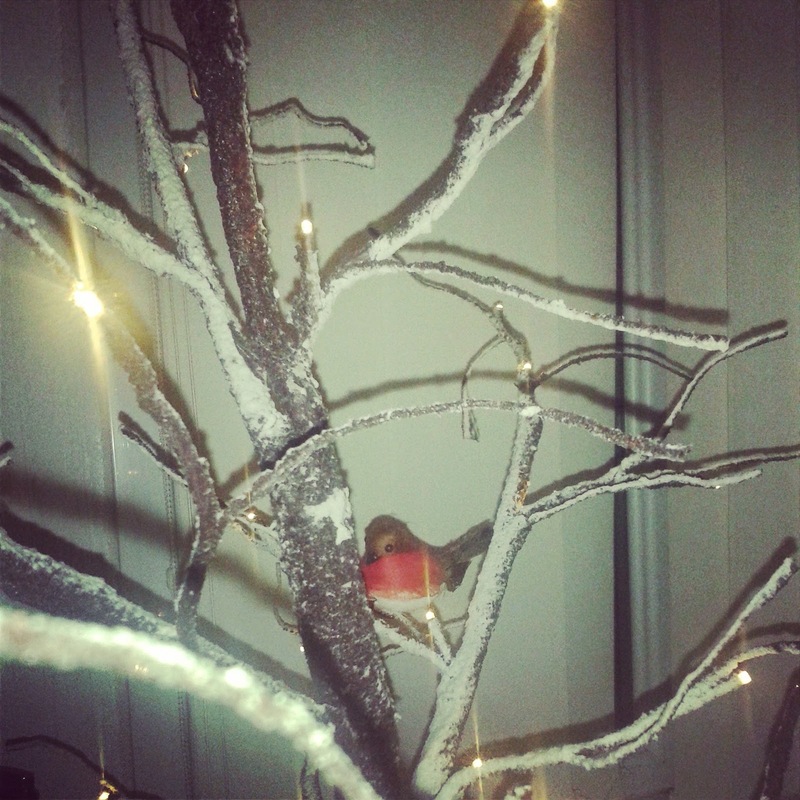 We don't have a traditional tree but a snow covered tree with lights built in. 10) Have you been to the Xmas Markets yet? I've walked past them a few times but as I'm trying to get home I usually feel very stressed and it's not been enjoyable. This sunday I'm planning on a trip with my mum before I got to a blogging event. I want to take some photo's and have a mug of mulled wine and maybe have some struddel. 11) Are you going to any Xmas Parties? I'm not going to my works Christmas party as it's on a Wednesday. It's not a sit down meal and it's on a Wednesday! We're going for a tea Xmas lunch on Tuesday and I'm hoping to go for a meal with some of my friends next Friday. 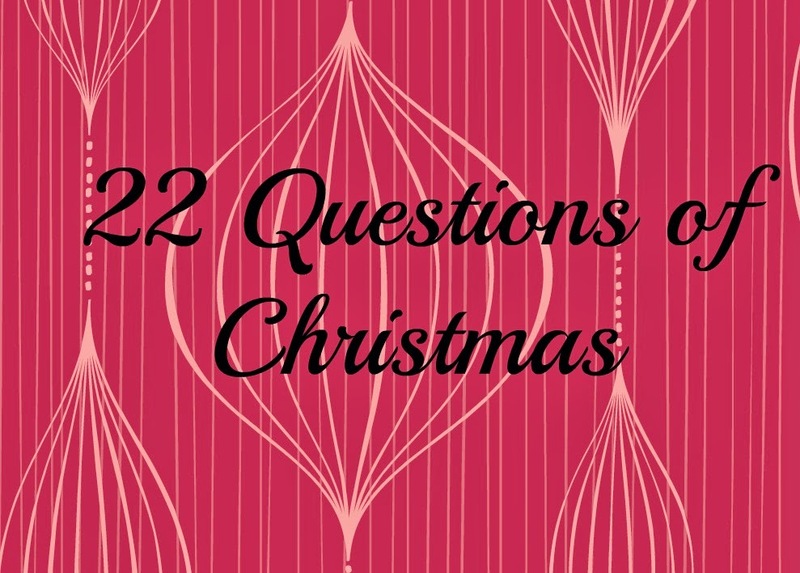 12) How does Santa get into your house? He had a key, very worrying time as a child living in a house without a chimney. Well we have a chimney but no chinmey breast just a flat wall. We also have a porch as well as a front door I was always worried he's forget both sets of keys. Also why does this strange man have a key to our house? Who gave it to him if no one has ever met him and is it safe to let him wander about? The mind of a child. A tough one. I do love Last Christmas by Wham. I call it my Matalan song as every year it's always playing as I go into Matalan. I also love Shakin' Stevens Merry Christmas everyone! 14) How much Xmas shopping have you done? Quite a lot really. I need to go through and see what I've got for everyone and decide what else I need to get. It can't be that much more.